Sought after special ground floor residence. Beautiful back patio opens to spectacular Vanderbilt Mansion pool and overlooking Yachts & Marina. Simply step out your back door and walk to the beach. Have this two bedroom plus den be your new paradise! Owner Financing or Creative financing available. 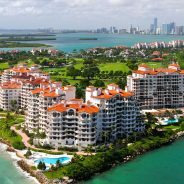 Enjoy a world class spa, clubhouse, tennis courts, gourmet market, top rated restaurants, and countless amenities make this a one of a kind of place to live! For $12 million, Century 21 Premier Elite Realty has a private island home for you. 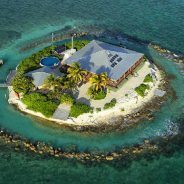 Located a quarter-mile off Marathon in the Florida Keys, the 5,000+ square foot residence is complete with a helicopter pad, a boat dock, and a boat to go with it. The home’s swimming pool offers an alternative to the warm aquamarine waters that surround this very private property. “We are getting so many calls from buyers whose dream has always been to have their own exclusive, private island! Who wouldn’t want an island like this? It is absolutely stunning!” said Patricia Delinois, President of Century 21 Premier Elite Realty. 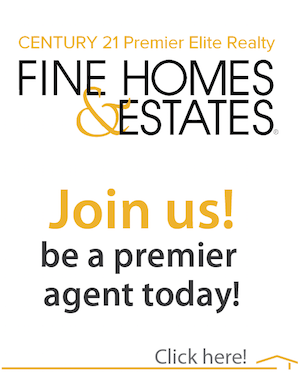 When Century 21 Premier Elite Realty agents Marvin Arrieta and Ireri Arreola Torres listed the property in December 2011, they were deluged with inquiries from Italy, Holland, England, and the U.S. They confirm that interest remains high for the property, with its Bahamian-style 3-bedroom, 2-bath main residence and 1-bedroom, 1-bath guest house, all built in 1980. The island retreat can be rented for $5,000 a week while it is on the market for sale, Arrieta said. “The owners bought the island in 1995 to enjoy with their four children. Now that their offspring have grown up, they are spending less time there and have decided to sell,” he explained. East Sister Rock Island, as the property is known, provides complete privacy and unobstructed views of the sky and water from the living areas and wide verandas. Two boat docks come with the property, including one three minutes away on the mainland. From land it’s a five-minute trip to the Florida Keys Marathon Airport, a 45-minute drive to Key West, and two hours by car to Miami. Marathon supplies opportunities for shopping and fine dining, and the area is world renowned for snorkeling, scuba diving, and fishing. Visitors also enjoy the many art galleries, spas, and eco-tours available nearby. Patricia Delinois said that unique properties like this are her company’s specialty. “The sellers chose us because of Century 21’s world-wide reputation for excellence, and for the expertise of our multi-lingual agents. High end buyers from all over the world, as well as locals, are come to us because of our international connections and cutting-edge technology when it comes to marketing one-of-a-kind properties like this one.” Delinois is president-elect of the Residential division of the Miami Association of Realtors, the largest Realtor association in the world, with more than 25,000 members. For details on the property, contact Marvin Arrieta 305-609-5719 or Ireri Arreola 786-383-2060.